H-600V | ThermoDoor Your local garage door experts serving the metro-east with excellence for over 35 years! H-600V doors are made of durable, high-density polyethylene (HDPE) door panels that are virtually maintenance-free. They will never need painting and rigid reinforcements provide structural strength to last a lifetime. 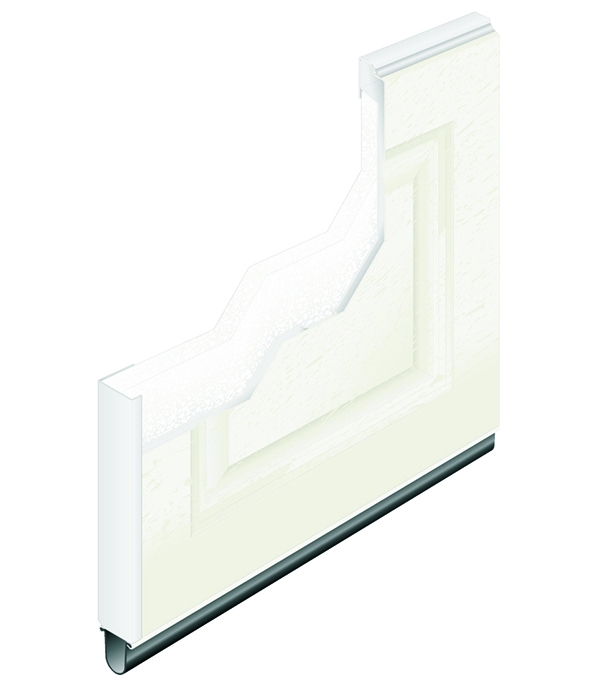 Polystyrene insulation with laminated backer provides an energy efficient barrier to the weather with an R-value 5.0. Comes in traditional raised panel design. High density polyethylene, woodgrain textured panel for strength and corrosion resistance, which makes it virtually maintenance free. Comes in White, or Sandstone. The H-600V has 10 years on the sections, and 1 year on the hardware. Choose from six different window inserts.